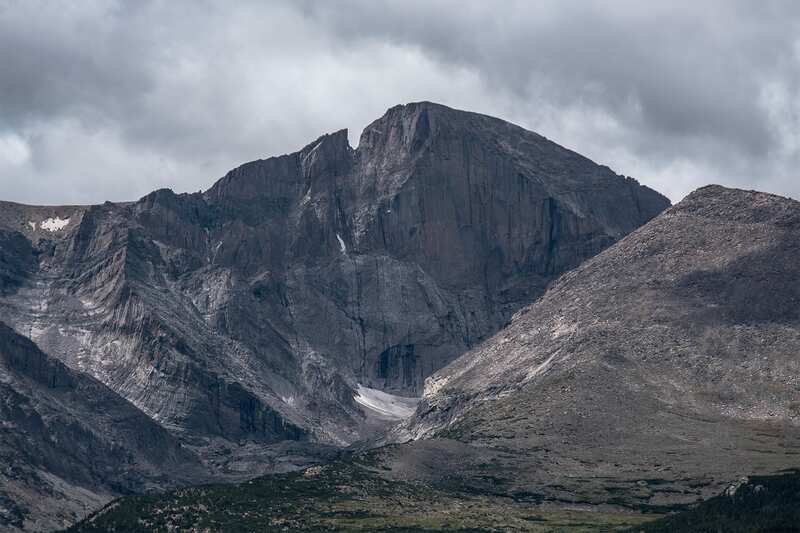 Longs Peak, the tallest mountain in Rocky Mountain National Park, towers over the Colorado Front Range, casting a long shadow from its peak at 14,256 feet. 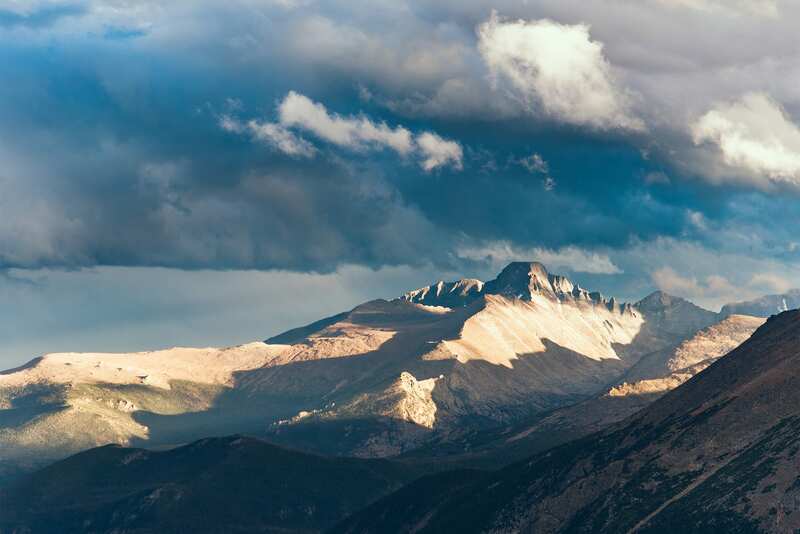 Almost every mountaineer who visits the Rocky Mountains sets his or her sights on this monstrous peak. 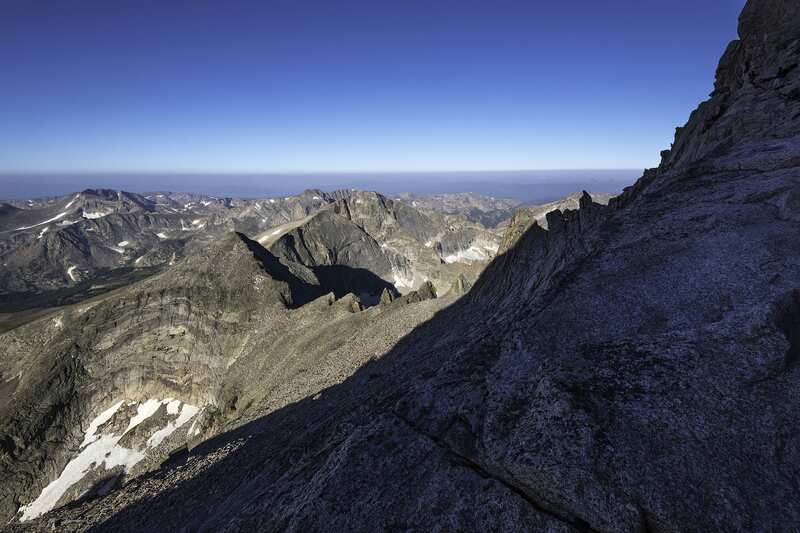 It’s not a climb to take lightly, but the reward can be greater than imagined. 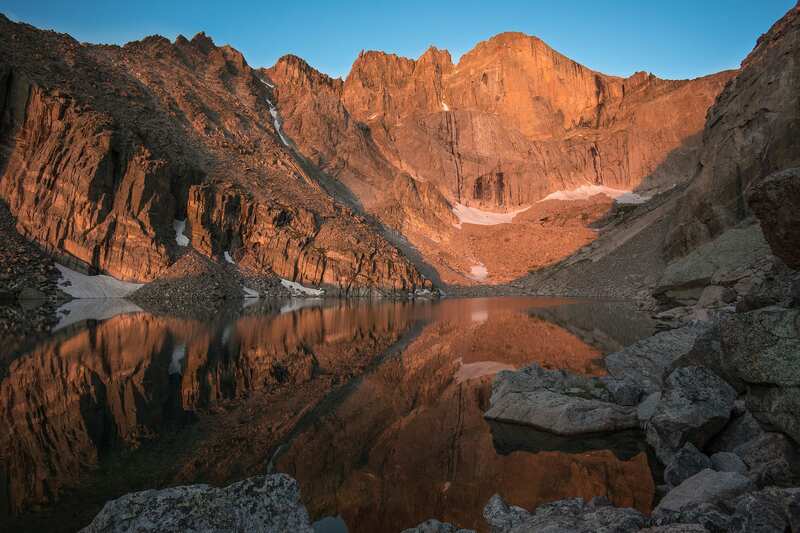 We begin in the early hours from the Longs Peak Trailhead, where a visitor center and log book record the attempts of hundreds of climbers every summer. 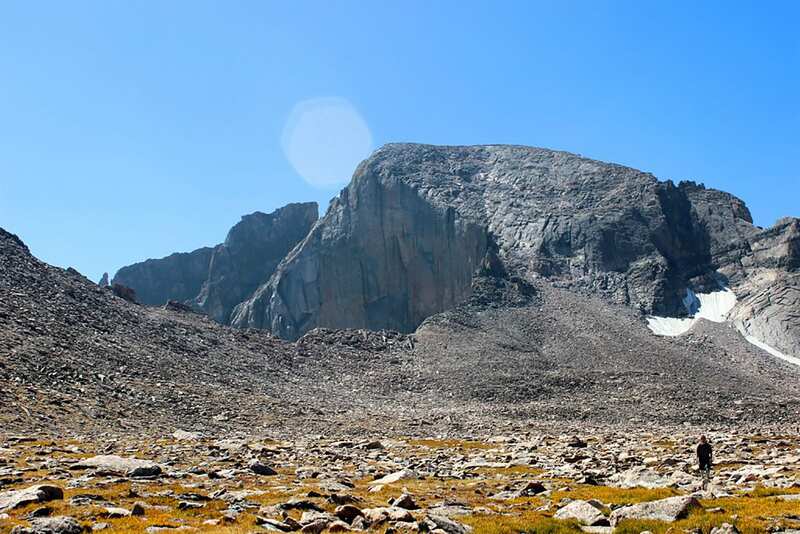 At the start, a moderate incline weaves through the Goblin’s Forest until the trees fade away and the remainder of the hike occurs above tree line. 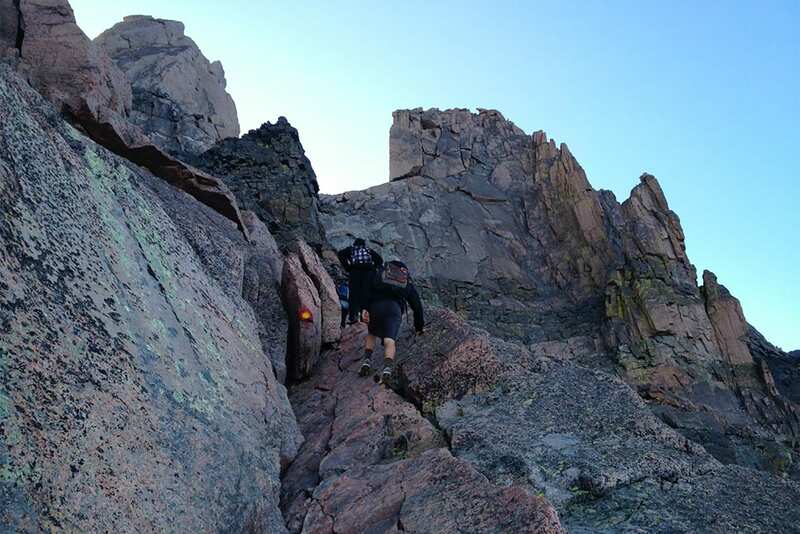 At the boulder field, fun climbing over large rocks continues up to the keyhole, which marks the start of a more difficult journey to the summit. Careful route finding takes us to the beginning of the trough, a vertical ascent of over 1,000 feet and arguably the most physical portion of the hike. Next, the narrows, a tight path etched into the backside of the peak, provides thrilling exposure to the chasm below. 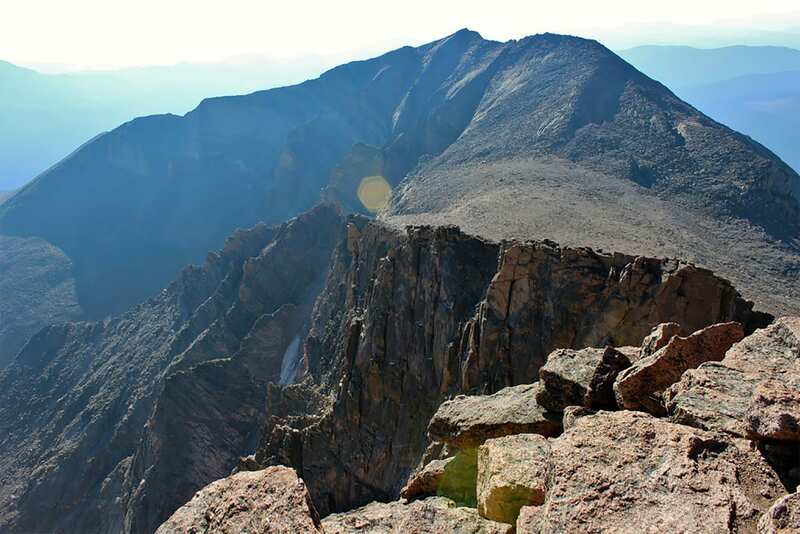 All that remains is the homestretch, a final scramble that brings us to the top of Long’s Peak, where the football field-sized summit provides a breathtaking view of smaller mountains below. We will start the descent by mid-morning, careful to avoid the dangerous afternoon storms. * We take only small groups & private trips, to enhance the experience giving you the full attention of our guides and staff.